Funnels are made of durable plastic. 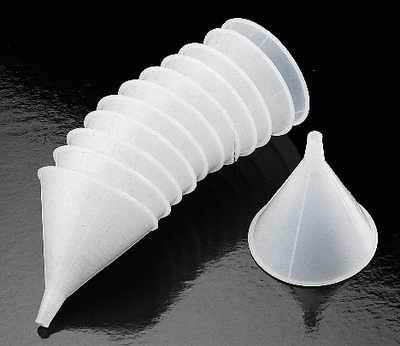 Funnels of top inner diameter 70-108 are polypropylene and autoclavable. Funnels with top inner diameter of 127 and 165 are polyethylene and not autoclavable. The 165 mm size has a wide stem for quick transfers.